Vautour was one of four winners for Ruby Walsh at the 2015 Cheltenham Festival. Pic: Courtesy of Paddy Power. A record total attendance of 248,521 racegoers attended the 2015 Cheltenham Festival, an increase of more than 11,000 on the previous best of 237,369 in 2012. This year’s bumper crowd witnessed a series of landmark events that included a new record of winners by an individual trainer at the four day Festival that took place from March 10-13. The milestone was set by Irish handler Willie Mullins, who bagged eight winners to capture the Irish Independent Dessie Hughes Leading Trainer Award for the third successive year and the fourth time in all. The previous record for successes at a single Festival was held by Nicky Henderson, who saddled seven winners in 2012. Mullins’ eight triumphs were headlined by a memorable one-two-three in the Stan James Champion Hurdle where Faugheen maintained his unbeaten record to finish ahead of stablemates Arctic Fire and third-placed Hurricane Fly. Later Coneygree became the first novice for more than 40 years to win the week’s blue riband event, the £550,000 Betfred Cheltenham Gold Cup, which was last won by a novice when Captain Christy scored in 1974. The Mark Bradstock-trained Coneygree jumped superbly in front for Nico de Boinville to hold off Djakadam and Road To Riches, the victory maintaining the eight-year-olds unbeaten record over the larger obstacles. 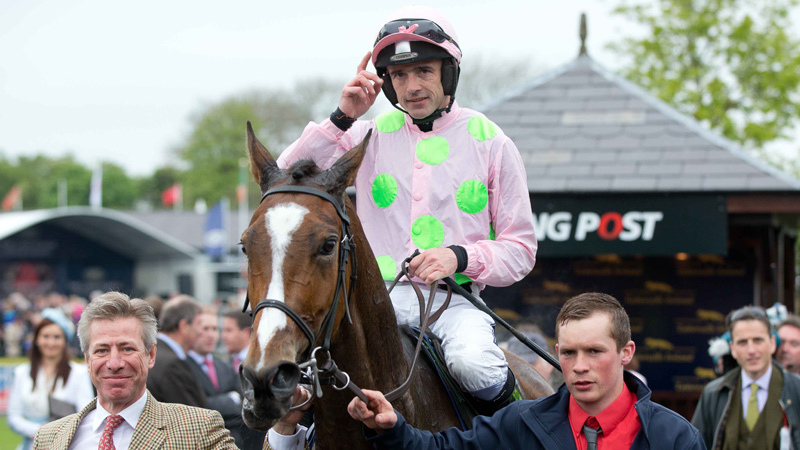 Meanwhile Ruby Walsh set the record as the most successful jockey of all-time at The Festival with 45 successes. Walsh bagged four winners this year which included the Champion Hurdle on Faugheen and the JLT Novices’ Chase on Vautour as he secured the Boodles Leading Jockey Award for the ninth time.